Everyone loves the look of knit lace, and getting those gorgeous results can be easier than you might think. 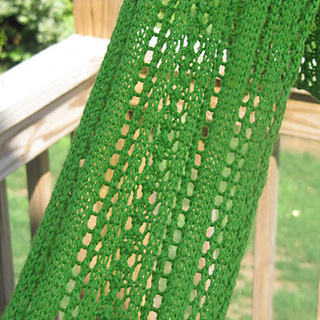 This beautiful scarf is designed to be a primer in knitting lace. Learn how to make three types of decreases (k2tog, ssk, and sk2p) as well as a yarn over. 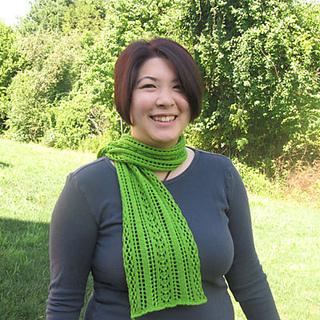 The scarf has a 4 row repeat, with patterning on the right side only. The pattern is both written and charted. Pattern Only Version includes pattern (charted and written). Full Tutorial Version includes tips for lace knitting and step-by-step photo guide for yo, k2tog, ssk, and sk2p.